CLEAVER: When these riots started all over the country in the aftermath of the assassination of Martin Luther King -- I think he got killed on the fourth of April. This shootout that we had took place on the sixth and the seventh of April. So we saw it coming while the police were acting so we decided to get down first. So we started the fight. There were 14 of us. We went down into the area of Oakland where the violence was the worst a few blocks away from where Huey Newton had killed that cop so we dealt with them when they came upon us. We were well armed, and we had a shootout that lasted an hour and a half. I will tell anybody that that was the first experience of freedom that I had. I was free for an hour and a half because during that time the repressive forces couldn't put their hand on me because we were shooting it out with them for an hour and a half. Three police officers got wounded. None of them got killed; I got wounded. Another Panther got wounded. Bobby Hutton didn't get wounded during the shootout, but they murdered him after we were in custody. That is why I am sitting here today because the police offers to whom we surrendered -- when I came back from my exile and was going to court on those charges. I was facing charges that would give me 82 years in prison. This police officer came to court one day, and the district attorney said, "Eldridge, there is somebody that wants to meet you. Would you mind talking to him?" I said, "well, I will meet anybody, Ben. Bring them on. Who is it?" He said, "it's Lieutenant Hilliard ." I knew his name from the grand jury transcript. This was the guy that we surrendered to. He told me -- he said, "Eldridge, remember that night? Remember when you came out of the building and you looked up and there was a police officer in the window and you had a pistol in your face about three feet from your face?" I said, "I sure do remember that." He said, "you know I was already squeezing the trigger. I was going to blow your head off because three officers had gotten wounded. All that shooting had everybody on edge. So I was pulling the trigger to blow your head off, and something told me not to do it." I said, "praise the Lord." He said, "praise the Lord." He told me, "I am no longer a police officer." He said, "I have my own private security firm now." He said, "the reason that they have not been rushing you to court is because of my testimony and the testimony of 13 other police officers who were that night who do not agree withwhat the police did in the way they killed Bobby Hutton." He said, "they murdered Bobby. They murdered my prisoner." That's what he said. Then he went on to describe -- he said, "the police have the responsibility of enforcing the law, the guardians of the law. But what they did that night was worse than what you did." He said, "if you are going to court, I am going to testify against you because what you did was wrong. But I'm also going to testify against them because what they did was worse. There is no statute of limitation on murder. What they did was first degree murder." This is w hat he said. They just took Bobby and pushed him. They pushed him, and he only went about five feet. He was stumbling and almost falling. They shot him 12 times, man. Murdered him right there on the spot. He fell down. GATES: What did you do? CLEAVER: [UNINTEL]. I'm down there, they got shotguns and pistols in my face, man. I figured they going to shoot us. I could not imagine living through that. But this other cop, he started complaining about what they had just done, and that was the last of that and then they took me and put me in that van and I knew from Huey Newton's trial that all of the police calls are tape recorded automatically so whoever was talking to these cops asked them who you got, who's in there? So they were saying we don't know who he is. 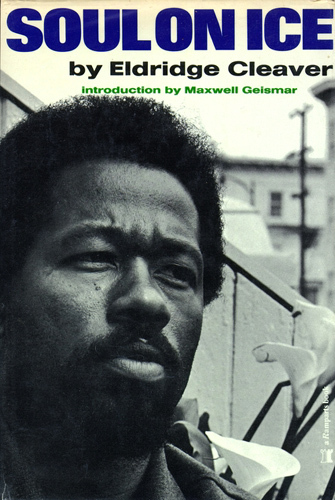 So I said it's Eldridge Cleaver. I wanted to get that on that tape, see, and so then they took me down a little side street. Two of them suckers got in there, they started beating me and I have no doubt that they meant to kill me, but then it came over the radio that this cop who was driving was telling "a couple officers in the back slapping this guy up" and so the squawk box told them to stop it. And so they kept on and he told them your order is to stop that, and so they wouldn't stop. And so he told them they won't stop. So that guy said something, like in some kind of code -- that was the second time I heard that code -- and whatever that code meant, boy, it froze them right in their -- they stopped right then, man, and they took me on in. GATES: Otherwise you'd be dead? CLEAVER: Yeah, I'd be dead. GATES: Was the civil rights movement a success? CLEAVER: I think it was a success it terms of the goals that it espoused. That was to break down the color barrier if public accommodations access to the institutions and things like that. But the big failure of the civil rights movement was that it did not have an economic plank because while we got access to schools and to Hot Dog Stands and all that, the burning issue right now is economic freedom and economic justice and economic democracy. The NAACP didn't touch that. They had no plan for that. When Martin Luther King was turning towards the economic arena in Nashville supporting the strike of the garbage man, he was murdered. I applaud my country for the changes that we have undertaken in these areas of civil rights. But where the big problem still remains is with the economic system. If you would call a meeting today to talk about segregation, wouldn't nobody come but Louis Farrakhan and David Dukes. But if you call a meeting to talk about the money, it would be standing room only. It wouldn't all be black because the money is funny for everybody, right. That's where the rubber hits the road; that's what we've got to deal with. GATES: Well, is that what the Panthers were all about? CLEAVER: We had a strong economic place in our program. We had a direct challenge- the whole exploitation of the capitalist economy in our ten points. We had a point dealing with the economy. But we were also Marxist in our orientation, which is like totally economics. Do you see what I'm saying. So we understood the relationship to our freedom and our access to our economic remuneration and not just a little job because that is whimsical. The man on top can change that any time he wants to. That's why I was always so down on being totally dependent on the welfare system because when the winds blow differently in Washington, they can cut you off. But the black democrats they thought that they were eternal. They thought that Tip O'Neil was going to be there forever to throw them crumbs. But it was obvious to me that this was a very dangerous dependency; therefore, I talked about stuff that went beyond welfare. I rejected welfare because we need to be involved not just with the federal budget but with the private sector because the federal government gets its money from the private sector so we have to be involved in owning and have an influence over the productive capacity of this country or else we are going to be perpetually dependent upon the largesse of those who rule. GATES: That's a long way from Marxism. CLEAVER: Yeah, because I had a chance to witness Marxism up close in action. So in my travels around the world, I saw that it wasn't working. I saw that the dictatorship of the proletarian was the last thing I wanted to have. That's when I began to see that with all of our problems in the United States, we had the best formal government in the world. We had the freest and most democratic procedure. I'm telling you after I ran into the Egyptian police and the Algerian police and the North Korean police and the Nigerian police and Idie Amin's police in Uganda, I began to miss the Oakland police. The last time I saw them suckers, I was shooting at them; and they were shooting at me. But regardless of what our standards are in this country, we do have some laws; we do have some principles that to a certain degree restrain our police. GATES: Eldridge, how would the world look, how would America look, if the Panthers had won? CLEAVER: I think the only way we could have won is that the American people would have revolted against the status quo. We had the anti-war movement and the black movement coming together for a better America. Now, victory in those terms would have meant that we would have been able to have a group of people who could get control of the government and administer it. But I do not think that we had a winning scenario. We never dreamed that we would be able to overthrow the American government. We didn't see that as our task. We saw that as the task of the survivors. Our job was to tear down the status quo and leave it to other people on how to rebuild because it was not possible to seize control of the government and install our people. That's reserved for banana republics. We had no illusions on that point and so victory, in our sense, was to get the laws passed that were passed. They started passing voter rights acts and all this kind of stuff, new civil rights bill, so we saw ourselves as providing backbone that was missing from Dr. Martin Luther King's nonviolent movement and we did not think that movement would be rewarded. It's like the NAACP. NAACP used to be considered a wild eyed radical organization until Martin Luther King came along and then they became acceptable and Martin Luther King was the devil. So when we came along Martin Luther King started looking better. To some people. Obviously not to all. Because when the killing started it was to liquidate the plan hatched here in Boston, or I should say in Massachusetts, between the Kennedy dynasty and Martin Luther King. Their plan was for Martin Luther King and Malcolm X to work together because together they could turn out the total black vote and then with the votes that the Kennedys could deliver they would have been able to establish a dynasty that would have ruled this country into the next century. That was their plan and that is why they were liquidated. The two Kennedy brothers killed, Martin Luther King and Malcolm X killed so that plan could not come into fruition. That was the scenario, that is why they were killed we do not understand that. The only one that really broke it down was this guy Sorensen who was the Kennedy choice for the CIA, but the establishment would not allow him to take control. Maybe it was the FBI, he was supposed to become head of the FBI. CLEAVER: Yeah. He was a speech writer. And so Kennedy tried to get him appointed head of the FBI and they wouldn't do it and so they were murdered and so the powers that be murdered them and they made -- if you look at all four of those assassinations they were textbook. They were murdered and the finger was pointed at some obvious enemy in all four cases. In all four cases, baloney. They were killed by the powers that rule this country who did not want to see the political dynasty of the Kennedys take control and last into the next century. They were still paranoid from how long Roosevelt was in power. Remember they changed the laws so that he couldn't run again and he obliged them by dying and so they were very fearful that this could be repeated, and it was on the way to being repeated but they knocked them out because by now Martin Luther King would have been president. That was their scenario. GATES: Eldridge, how is it different to be black today in 1997 than it was when you were in that basement in Oakland 30 years ago? We have the largest black middle class that we've ever had in history. 45% of all black children live at or beneath the poverty line. It's like we have the best of times and the worst of times. What's that all about? CLEAVER: That's because our black middle class has followed an assimilationist ethic. They have become white and they've adopted all the worst features of America in terms of not caring about the other people. Like the white ruling class never cared about poor white people, let alone about black people and other minorities and these blacks who are following W.E.B. Du Bois' formula of educating that 10% who will then come back and lift up the rest of the people -- the argument that was had between W.E.B. Du Bois and Booker T. Washington was over how we're going to manage this thing. Booker T. said we've got to teach these people how to work, then they'll get jobs, then they'll be able to afford education and then they can do that. And Du Bois said no, we've got to concentrate on the intellectual development of the people and get 10% of our people educated and then they can help the other people, but if you just learn a trade and you don't know what's going on, that ain't going nowhere. I say both of them were right. We need both of what they promised and we've got both of what they promised. But they didn't have a unifying vision and consequently we've got an enlarged black bourgeoisie but they have departed from the basis of the black bourgeoisie according to E. Franklin Frazer. This was the professional classes and that was their economic base but the progress that has taken place has given a new economic base to the black bourgeoisie, to the expanded black -- now their economic base is political as well as up front economic and they still have a professional class but it is been expanded because you have a lot of black people with a whole lot of money coming from these other pursuits. Add to that, the million-dollar salaries to football players, basketball players and baseball players, not that they're doing anything constructive with all of that money, but they have it. But they didn't bring it back to pull the other people up and so it's like the devil take the hindmost. That is what we're dealing with so that the black bourgeoisie is as corrupt and immoral as the white bourgeoisie and that is the problem. GATES: It sounds like you're saying we were better off in the 60s or under segregation than we are today. CLEAVER: No, I'm not saying that. A lot of people think that we were better off because we had more integrity to our black colleges and there were a lot of black businesses and all that, but that is like a tempest in a teapot. We are better off because we have more access, we have more mobility, but we have a problem which is a political problem because when the laws were passed to open up the political arena for black people the most visible leaders and the ones who were able to get those jobs were our protest leaders so what they did, they took our protest machinery and transformed it into their personal political machinery to get them reelected which stripped the black community of any kind of organizational machinery and consequently it left us floundering and treading water in a miserable state. That is why the number one task that we have in the black community is a coup d'tat against our present leadership to strip them from that machinery that controls the community so that new ideas and new people can percolate up and then we can have a new agenda. But because of the way that it's controlled right now, the number one task of the black politician who's got these position should be to politically educate the black community but they didn't do that because they knew that if the black community was politically educated the first thing they would do would be to get rid of them. GATES: We were talking about black leadership. What's your take on the Million Man March and Minister Farrakhan? CLEAVER: I think the Million Man March will go down in history as the defining episode for a generation of people and I know Minister Farrakhan personally and have known him for years. And my overall decision on Farrakhan is that the Afro-American people are not going to follow him anywhere and as General Colin Powell said in his famous commencement address at Howard University, he said that after what we've been through and after coming this far we cannot afford to take a detour through the swamps of hatred and that is the Achilles heel of Farrakhan is that the doctrine of the Nation of Islam is a racist doctrine and the Afro-American people are not racist people. We are anti-racist people. We among all the people of the world have put up a valiant struggle against racism and for emancipation from a system based on racism and so that is the problem with Farrakhan. He needs to be born again. He needs a new vision. Somebody needs to talk to that guy. I tried to talk to him but he's too slick. He won't listen, you see. I remember him when he first came along, when he was nothing but a pimp and a calypso singer and Malcolm X pulled him and let him sing his song which was A White Man's Heaven Is A Black Man's Hell and by singing that song at Malcolm X's rallies every week he got to hear Malcolm X's speech 1000 times so when Malcolm X was murdered, the show must go on so they were looking around for who could keep the show going. Farrakhan was there. He knew Malcolm's speech word for word, he has a good mind and a good memory and he was able to do it because he was a showman from the beginning and so he was able to step into that vacuum, but the boy's not creative and he's blind sided so consequently he was not able to shuffle off that mortal coil which he should have done. He should have not felt obligated to carry on the doctrine according to Elijah Mohammed but he did that to stay the hands of his rivals who were willing to do that in order to get the power. So they were calling him a revisionist for a long time. That is why he had to stick to what Elijah Mohammed was teaching and for that reason we cannot follow him because we don't want to go where he's going, and where he's going is where all haters go and that's into the garbage can of history and we're not going with him. GATES: What about Colin Powell? CLEAVER: Because he is too little too late. In the year 2000 the American people, are going to elect the first woman president of the United States of America and it's not just going to be a woman, it's going to be a mother because what is missing from our decision making process in this Old Boy network is the heart and the concerns of a mother and so I, along with a lot of other people, are going to make it happen. We don't want to specify who is our choice right now because we have to get women to raise their self esteem and to realize and understand that there are a lot of women in America who are qualified to be president of the United States of America. You would have to look up under a whole lot of rocks in America to find a woman as unqualified as these suckers we've been sending to Washington and women need to understand that and deal with that because we cannot go into a new millennium and a new century with the Old Boy network which is racist and misogynistic. We have got to go in there with a new deal and I hope that we will have time to tick off a few points that I feel are extremely important but I want to make sure you finish your questions first on this. GATES: You, thirty years ago, were a socialist, I think it's fair to say. Do you believe that capitalism is compatible with the absorption of a significantly larger percentage of black people into the middle class? CLEAVER: I think it is. I think that it is possible for the capitalist system to have a program of full employment, but we have a spiritual and moral problem in America. Our problem is not economic or political, it is that we do not care about each other because we say hey look, my people, my group, we're first class and you guys, you're second class and you guys over there, you third class and you guys in the back right there, no ain't got no class. That's our attitude but our creator never wasted his or her time creating a second class person. He made us all first class and he provided this earth as our home for all of us, not for the black man, the white man, the red man, the yellow man, the brown man, but for the whole human family. We are the ones who have created a system of scarcity. There's enough building materials in this country, enough skilled workers, that there should not be any homeless people. There should not be any hungry people. And so a man wrote a poem in Berkeley, old man, in which he had an immortal line. It was a poem on greed in which he said how much more than enough do you want? There is enough for all of us but we don't have values that include us all and the black bourgeoisie suffers from that same lack of values as the white bourgeoisie and so we need a spiritual transformation in our attitude towards each other so that we can look upon each other as a family and therefore our national economy should be based upon a family budget, not going around preaching scarcity. There's not enough money for this. There's enough money for everything if you stop spending it the way you're spending it and so we need to undertake some political reform. Number one, I told you about the toilets, but number two, we have got to require our politicians to write their own speeches and when they campaign to campaign under the penalties of perjury because we have developed a political culture of mendacity. We all know the politicians lie, we don't expect them to tell the truth so we have a low expectation because they've been lying all down through history. We've got to raise the standard and to start with we require them to write their own speeches or let's vote for the speech writer. George Bush went in talking about let there be 1000 points of light then when he got in the White House all the lights in the country went out and we found out that a woman wrote that speech. He didn't even write the speech. So when you come before us reading your speech we want to know what you are talking about, what you are thinking about, where you are coming from, but you can't tell us that if you going to read a speech some word monger wrote for you. We got to change that, man, because we need truth in our political arena, and then we've got to restore vision because our young people are lost, they don't see a future and to restore -- yes, sir? GATES: How do we do that in the black community? I mean we have this gangster culture. CLEAVER: I know. We have got to do it for the country as a whole because it is no longer a situation where you can just deal with the problems of black people because we now have the same problem. We've gotten rid of the special problems. I know that there's still discrimination going on and racism in the decision and what Newt Gingrich talked about a new contract with the American people. I used to carry his book around with me and I'd jump up and down on it and kick it off the stage because why do we think that Newt Gingrich going to live up to a new contract when he hasn't lived up to the old contract? We don't need a contract. The contract that we should be going by is called the Constitution of the United States of America and all this other stuff is just a political scam. GATES: But the Constitution doesn't say anything about economic equality. CLEAVER: It says that we are entitled to life, liberty and the pursuit of happiness. And those causes are elastic. If we have people who will interpret that Constitution right what do we need to be happy? We need some food, we need a house, we need some money in our pocket. We don't need to be begging, asking for spare change, we don't need to be on welfare asking for a handout from the federal government. We need money and income that we can control. We need part of the private sector. We need property and we need ownership so that we can not be just floundering this way and that way, depending on who's in Washington and which way the political winds are blowing. That is what we've got to be emancipated from and that calls for not a communist formula and the redistribution of the wealth, we need at least 51% of the wealth in this country shifted into the hands of women. They are over 50% of the population. Now they are divorced into poverty. They work with these chumps and help them get rich then they run away with the secretary and divorce the wife into poverty. We have got to stop that. We need to shift 51% at the very least of the wealth of this country into the hands of women. GATES: Are you optimistic about the future? I mean given the fact that we have this large black underclass and a large black middle class, it looks like we have two nations and they're both black. CLEAVER: We have more nations than that because we have poor white people, we have poor Indians, we have poor -- we have got to eliminate the economic basis of the underclass by providing them with jobs not handouts from the federal government. That is the failure of our economic system, that you have economists who say that you've got to keep the people on the brink of starvation in order to motivate them to work and hustle around. The failure of the capitalistic economic system is that they did not provide for full employment. They were satisfied with a certain percentile and then they were willing to keep a lot of people perpetually in reserve and that was to keep wages down and all that kind of pressure. We have got to have a policy of full employment and by restoring the frontier and the union of the western hemisphere it is a full employment program for the whole hemisphere. There's a lot of work to be done but we have to reorient ourselves from a system of scarcity and a belief system in scarcity and there is no problem that we have on our agenda that we cannot solve. GATES: Eldridge, many people compare Huey Newton with Tupac Shakur. And some people even suggest that without a gangster culture, that is, 30 years ago, a person like Tupac would have emerged as a leader of a revolutionary group like Huey P. Newton. CLEAVER: This is an a historical perspective because they do not understand that Tupac is a child of Huey Newton and Malcolm X. That Tupac would not have been who he was had he not been born of parents who followed Huey Newton. Afeni Shakur and Amumu Shakur were members of the Black Panther party. And it was because of that experience that they were able to raise Tupac with the mentality and the spirit that he had. So talking about going back like that, saying that Tupac would have been Huey, you cannot unring the bell. GATES: But Tupac was a gangster, wasn't he? CLEAVER: Huey was a gangster. CLEAVER: I'm not-- I'm talking about a real gangster. Tupac, they were talking about gangster rap. Huey P. Newton was a gun toting gangster, but that's not all he was. I'm saying he went through that experience as a criminal, but the thing about Tupac was his spirit and his rebellion against oppression. This comes from the way that he was raised and the values that were transmitted to him. His father died in a gun fight with the New York police department and so Afena was a very strong stalwart of the Black Panther party and Tupac was raised like that. He is what we call a panther cub. And that was what he was about. And that is why it was such a blow, [Tupac's] liquidation, and many people think that it was the COINTELPRO that took him out because the story doesn't hold up because anybody who knows Las Vegas knows that after the Mike Tyson fight there, there is no way that anybody going to drive along upside of another car, shoot them and drive away because it's gridlocked for blocks around there, man. So that is not what happened. There is more to it than that. GATES: Eldridge, now, thirty years later, the smoke has cleared, bodies are buried, people have moved on. Was it worth it? I mean was the Panther movement worth it? Was it a good thing? CLEAVER: They're taking out more people than anything else. GATES: Will history judge you and your contemporaries from the '60s -- Karenga, Rap, Stokely, Angela, the whole gang, Julian Bond -- favorably, do you think? CLEAVER: I think they will. I think they will give us Fs where we deserve them and they'll give us As where we deserve them and they're going to give Huey P. Newton, Bobby Seale and Eldridge Cleaver an A plus. So consequently the black community is devoid of any kind of democratic process. We're under the dictatorship of the black bourgeoisie as it has never been before. And so they have federal money now to fund their political machine and keep any new people from moving, any new ideas from moving, and they're not any more concerned with the poorer black people than the rich white politicians are concerned with poor white people. Make sure to read his book " Soul on Ice"
In "Women and their role in the BPP" You can find an interview with Elridge Cleaver's wife, kathleen Cleaver.